The Contra Costa County Fire Protection District board of directors elevated Deputy Fire Chief Lewis Broschard to the position of fire chief March 12, effecting a quick and seamless transition between Broschard and retiring Fire Chief Jeff Carman, who departs at the end of March. Broschard assumes his new role April 1. "It's been an incredible journey over the past five and a half years, and collectively we've all done a lot of great work. I'm looking forward to continuing that momentum in the years to come," Broschard told the board. 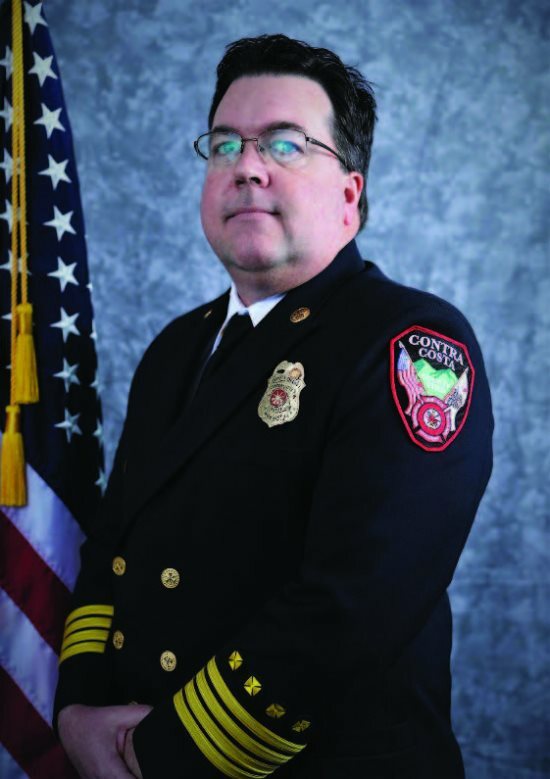 Broschard, a 25-year fire service veteran, joined ConFire in 2007 as a fire inspector. He rose through the ranks as fire prevention captain, fire marshal and assistant fire chief and was promoted to deputy fire chief in 2015. As deputy chief, Broschard supervised the five district assistant chiefs. "Lewis has been 100 percent involved in all decisions that have been made in the organization," Carman said. "I know Lewis will carry on as he has for the last five and a half years." Broschard noted the district's relationship with the city of Lafayette, stressing that a continuous focus needs to be maintained in planning for future development, building standards in the city that address the threat of wildland fire, and proactive emergency preparedness that includes the city, district and residents. "Our relationship has strengthened over the last several years and I'm looking forward to continuing supporting a strong working relationship with the city into the future," he said. One of the first district projects expected to be completed under Broschard would help throttle the spread of a wildland fire in western Lafayette. 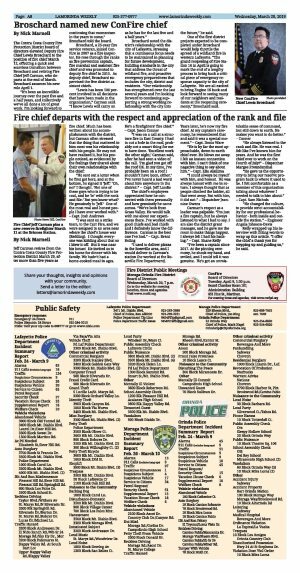 "The grand reopening of Fire Station 16 in April is going to mark the end of a lengthy process to bring back a critical piece of emergency response capacity to the city of Lafayette. We are all excited to bring Engine 16 back and look forward to seeing many of our neighbors and residents at the reopening ceremony," Broschard said.